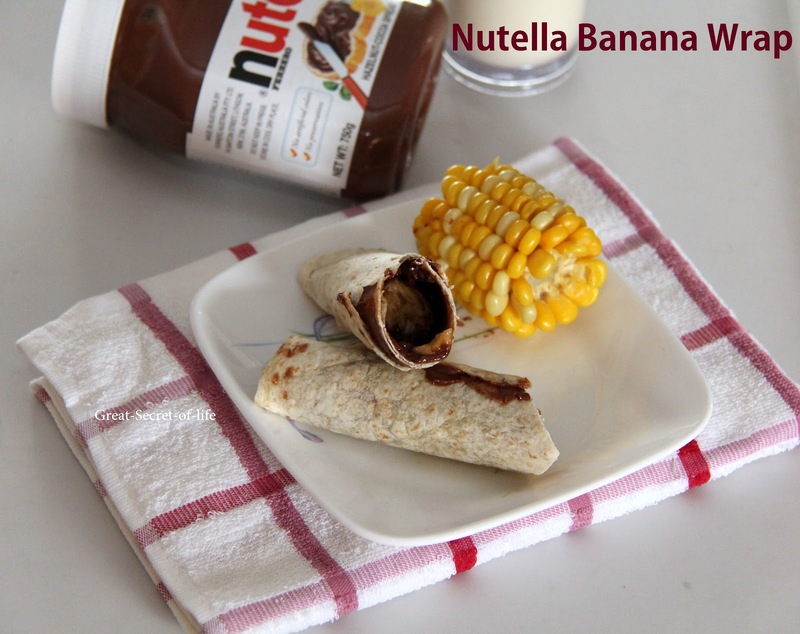 Spread the Nutella in the wrap and Place banana in the middle.Roll up. Cut it in half diagonally. Yummmy !! Happy to follow you !! 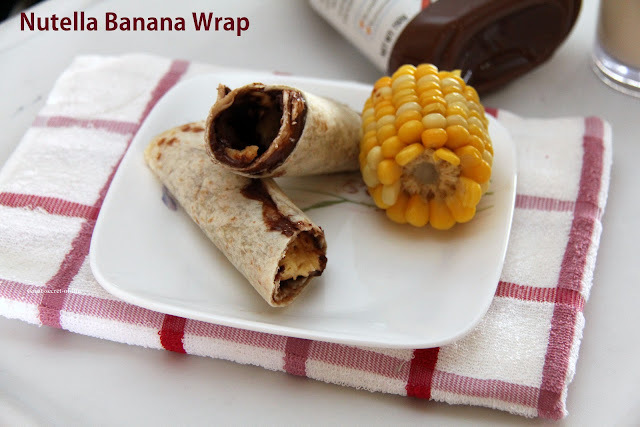 Delicious and sure a kids fave wrap..
Cant take my eyes from ur wrap,droolinggg!